PRESENTING PERCY looked like a Grade 1 horse in a handicap when winning the Pertemps Final at Cheltenham and is set to get the chance to prove it at Punchestown next month. Owner Phillip Reynolds is keen to have a crack at Grade 1 company in the Irish Daily Mirror Novice Hurdle on April 26 after handicapper Noel O'Brien raised the Patrick Kelly-trained six-year-old a massive 19lb to a mark of 159. 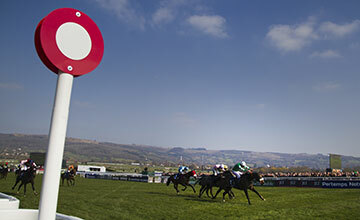 Reynolds said: "I hope he is a Grade 1 horse and Noel certainly seems to think he is with the mark he has given him. I hope he's right. 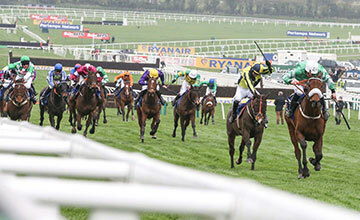 He has come out of Cheltenham in great form and it would be nice to have a go at a Grade 1 at Punchestown. "We will just keep him ticking over and see how he is. He does plenty this season already so I wouldn't want to push the boat out too much. "All he has done is keep improving throughout the year and Pat [Kelly] has done the most unbelievable job with him. That man is a genius." Mall Dini, winner of the Pertemps Final for the same connections 12 months ago, has come out of the Kim Muir in "cracking shape" according to Reynolds and will be aimed at the BoyleSports Irish Grand National, although connections are concerned that he might not make the cut for Ireland's richest jumps race at Fairyhouse on Easter Monday, April 17. Currently number 48 on the list, Mall Dini needs 20 to come out to ensure a place in the line-up and Reynolds is fearing the worst despite the fact his hope is 10-1 joint-favourite with the sponsors. Reynolds said: "He was quite sore after winning the Pertemps last year but this time he seems to be in great form. The Irish Grand National would be the plan now as he jumps so well and all he does is stay but I don't think he will get into it. I hope he does." Mall Dini endured a troubled passage on the way to finishing a close-up fifth in the Kim Muir, beaten just three lengths by Domesday Book, and Reynolds feels we did not see the best of him there. "Things just didn't go according to plan," he admitted. "He jumped brilliantly and the third-last being omitted did not help things. It got very messy and we didn't get the clearest of runs up the home straight either. In saying that, he was not beaten far and he's run a great race."